Whether it’s a birthday gift, a token of appreciation or for the annual Christmas party, buying gifts for staff members is not always an easy task. Finding the ideal present might seem daunting. After all, if you get it wrong it might haunt you for weeks to come. So, should you go funny with a hint of naughty? Or keep it practical and professional? Or a bit of both? Let’s face it. A well-chosen gift makes the receiver feel appreciated and cared for. So the kind of present really depends on your relationship, how well you know the person you’re shopping for and what message you want to get across. As an employer, buying gifts for staff is not just a sign of respect and appreciation. It also demonstrates your leadership skills and that you care about your employees’ happiness and wellbeing. Depending on the size of your company you could either buy gifts for staff members in bulk or individual items. The danger with individual items is that a lot can be interpreted into them, and if you get it wrong might cause jealousy or feelings of inequality among your staff. Gift baskets are a great way to ensure everyone gets their share without feeling more or less appreciated than others. 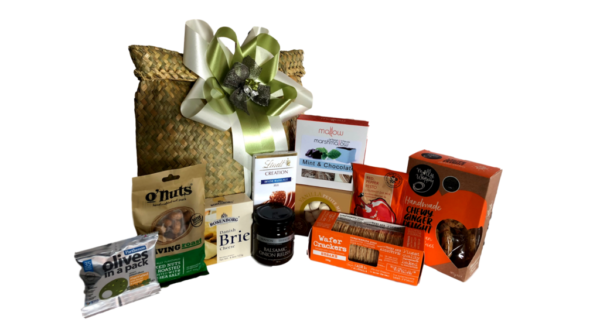 Basket Creations offers luxury gourmet gift hampers and gift baskets using artisan products from throughout New Zealand. They are beautifully wrapped and designed and will certainly make the receivers feel special and cared for. To show your staff that you value each one of them, you could add personalized notes, cards or pictures to each gift basket. That way your employees will feel valued for who they are, know that they have a place in your company and a very special relationship with their boss. Make it personal. Personalized gifts show that you actually spend some thought on the other person. Choose a gift that connects you with them. Maybe you know their favourite drink, the one treat they can’t live without, or something that reminds them of a great project you finished together. Keep it practical. As cute as they might look and as easy as it would be, but try and avoid buying gifts that you know will only end up collecting dust in the back of someone’s shelf. Gift cards may seem like a thoughtless gift to some but are actually becoming more popular as they add actual value to someone’s life. How about a gift card for the local hardware store if you know your colleague is a bit of a DIYer? Or movie tickets for the film-buff at the desk next to yours? Express your gratitude. In the end, the choice of gift is yours. Just remember that no matter the occasion, it is a simple way to say thank you or demonstrate your appreciation for the other staff member. Add a note and give them a compliment, or remind them of something they did really well over the past year. They will remember you for that gesture, long after the gift you gave them has reached its expiry date.